"SECOND YOUTH" A BAC 1-11 - REBORN! Remember the brown BAC in the ROMAERO yard without the left wing? Well, its wing was re-attached, and then the plane was painted in an elegant, minimalist delivery. 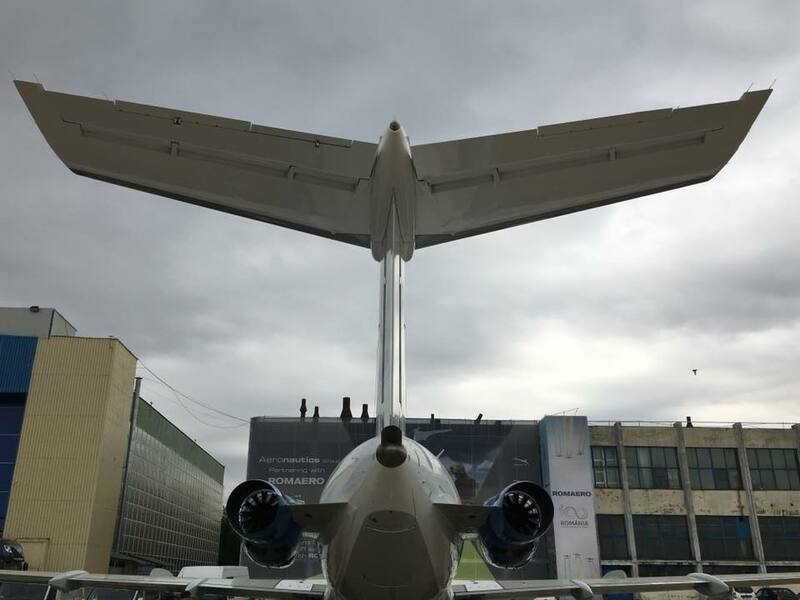 Between 16-18 May, you can admire this beautiful BAC 1-11 at the Black Sea Defence and Aerospace Exhibition (BSDA) 2018 event taking place at ROMAERO, Baneasa. 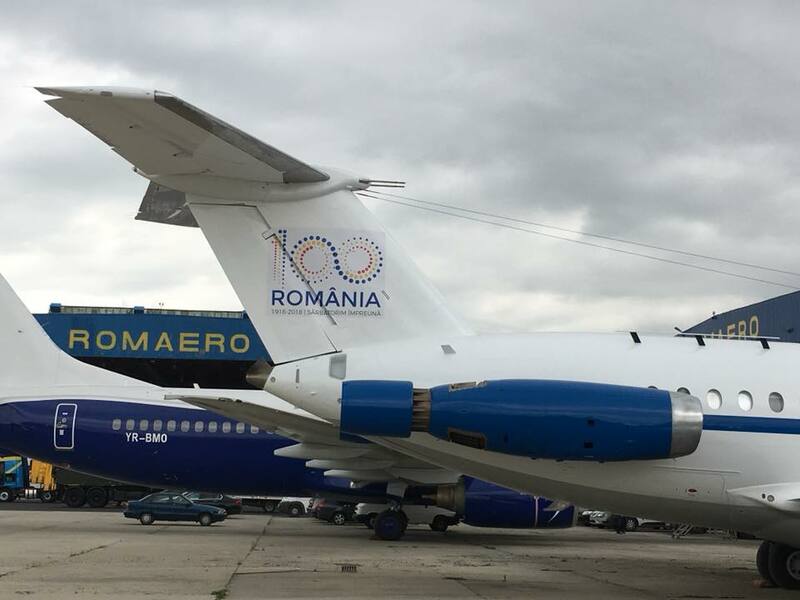 The plane will also be displayed at the Bucharest International Air Show (BIAS) on July 28, when you will be able to climb inside. As we have, over the last 7 years, we continue to bring you interesting topics on Aeronews.ro and www.facebook.com/aeronews.ro, on both the international aviation market and the domestic market. 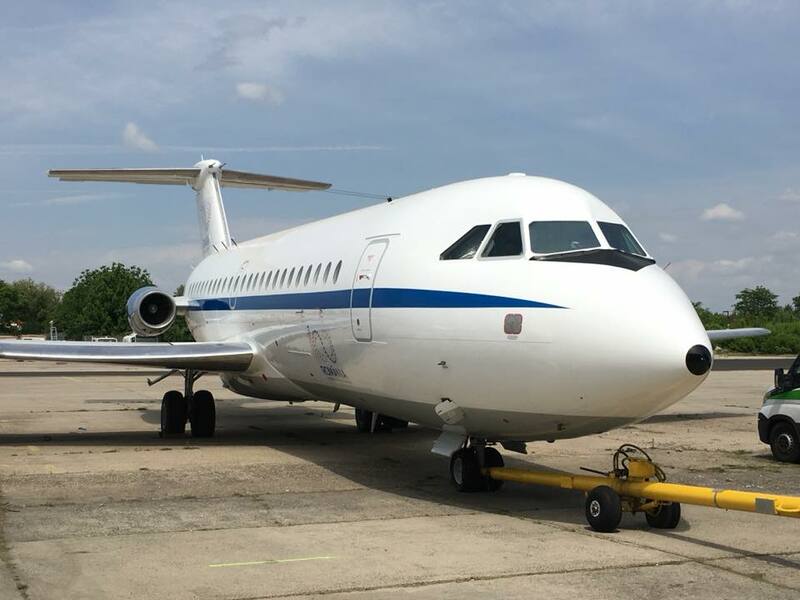 This time we look at a BAC 1-11 British Aerospace manufactured at Bournemouth Hurn in April 1978 (TZ-BSC), in the same year that Romania buys the license of BAe. On Saturday we boarded the plane and talked to Mr. Remus Nawshad, CEO ROMAERO, to learn more about this interesting project. "The plane had been in ROMAERO for several years with expired C of A, imported on an enormous amount from a company that has no activity. We have clarified the situation of the import, contacted the owner and managed to get the plane taking into account the debts he had at ROMAERO for the aircraft parking lot, making it clear that the plane could no longer fly. 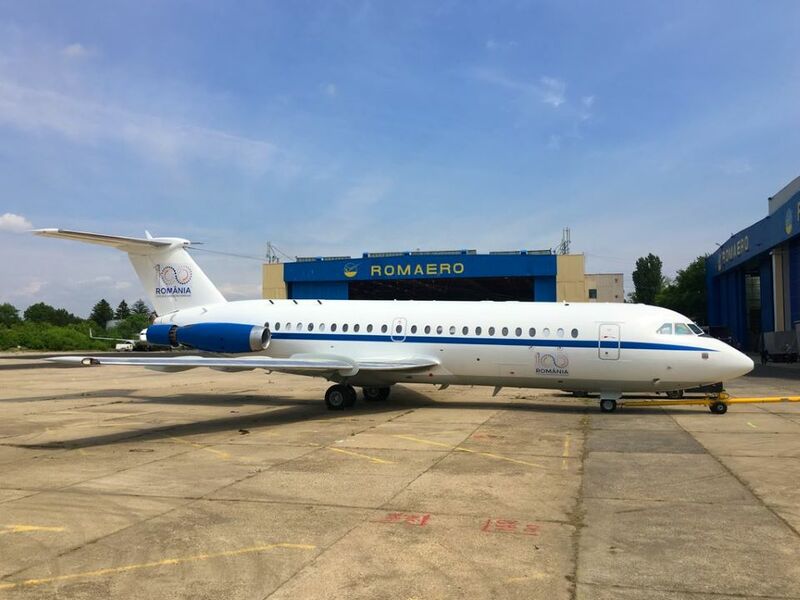 I did not have access to a ROMBAC 1-11 as you know, Bucharest airports owns YR-BRA, the first ROMBAC made in Romania, but our desire to preserve a “historical model” to the passionate public has made this BAC 1-11 the aircraft to receive a new "lease of life". His restoration is in two stages: we started with the exterior and are going to remake the interior, which is in the VIP configuration. The interior already looks fabulous at the moment as you have seen, but we want to reflect even better the craftsmanship and passion of our specialists, just like the outside. 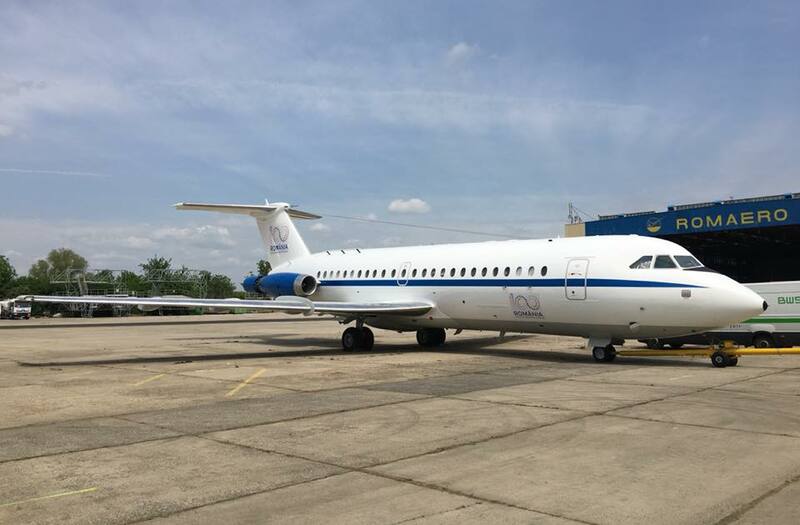 In this project we were helped by Blue Air and by GM&T 2000, who supported some of the materials needed to restore the exterior of the plane in the best possible condition. Both Mr. Gheorghe Bala (Blue Air), a pilot with 15,000 hours of flight on BAC and ROMBAC and Mr. Mihai, GM&T 2000, former colleague with us in ROMAERO and a great supporter of the Romanian aeronautical industry in countries where the company distributes AKZO NOBEL products ( Aviation paints), enthusiastically received our idea and helped us without asking for anything in return which is why I consider it our moral duty to make known the help they have given us. 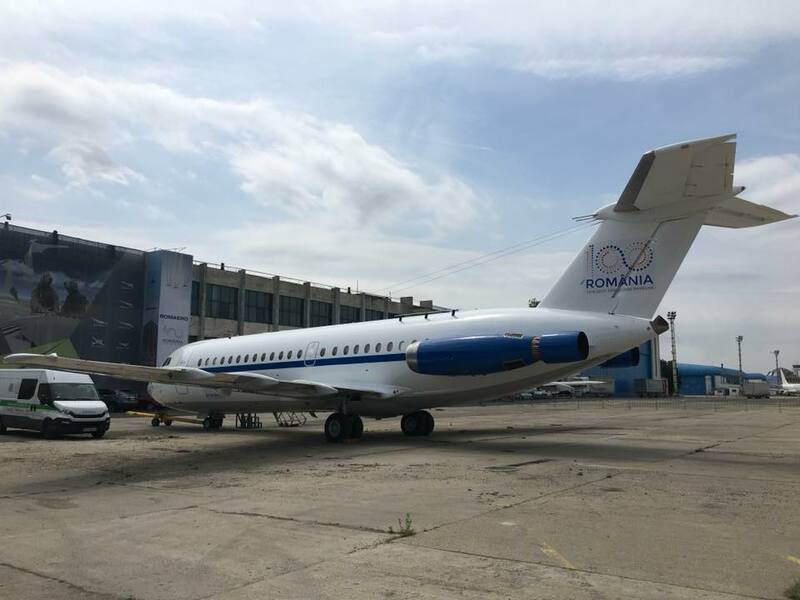 After BSDA (16-18 May, Romaero, Baneasa), where we will expose this BAC, the plane will re-enter the hangar to complete the restoration of the interior, with a complete sanitation. We will not change anything inside the VIP and we will try to make it functional as much as possible, maybe even 100%. I mean the cabin equipment. The engines are not going to start again, although we know that many passionate aircraft enthusiasts would like that. 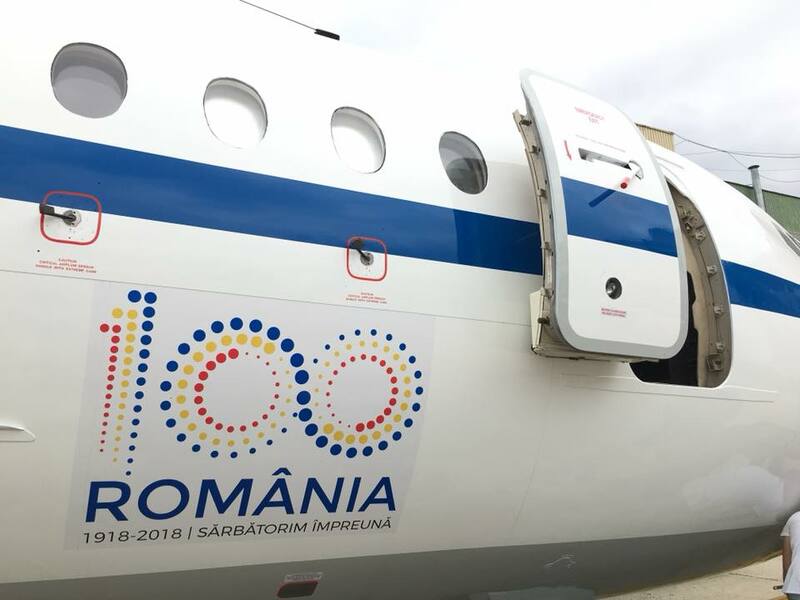 It must be said that the purpose of this project is not to fly, but to illustrate on the ground a reference period in the history of the European and Romanian aeronautical Industry. The fact that the BAC is complete, that all the components are original and that it could work, is not at all bad. It would be a waste to spend a seven-digit sum in euros just to do an engine test. I hope no one gets upset, but we have to be pragmatic. Possibly in co-operation with Bucharest airports and/or TAROM, companies with much larger resources than us, we could try to revitalize completely YR-BRE or YR-BRI for demonstration flights. As for YR-BRA, we are open to helping to restore the exterior if the beautiful initiative of exposing it in a place with great visibility (the Otopeni Watch) is created following the project initiated by Aeronews.ro in February 2015. Returning to repairs related to the left wing, which had been severed, the restoration team worked very hard to rebuild it and to remove the countless layers of paint, about 15 in number, overlapping in the last 40 years. The painting of the plane in an elegant, minimalist delivery was thus possible as if the plane had been new. 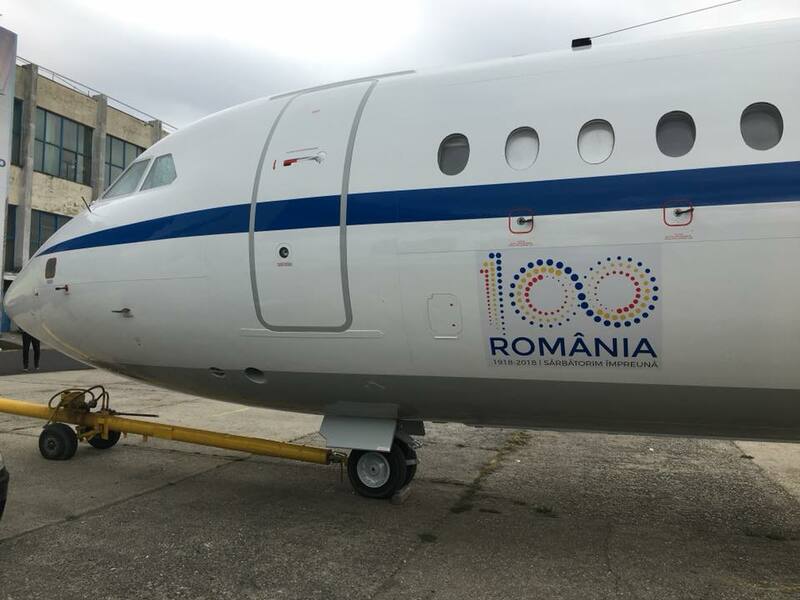 All of these things came together because my colleagues in the Aircraft Repair and Maintenance division had "hooked up" immediately when we proposed to give the public a 1-11 restored on the occasion of the centenary of Romania. They have accomplished all the design, manufacture and installation of the structural elements in a record time. The result: After redoing it, the wing is almost like it was when it first left the factory. Let's not forget that ROMAERO even fabricated these aircraft! Nearly 40 people have worked hard for two months on this project. It was not a typical repair because there was no manual for this. Basically my colleagues redesigned the structural elements, the manufacturing, installation and testing technology. I am extremely impressed by how well it has come out and how much passion I have seen with them! Starting from 2019, this BAC 1-11 will be the central piece of a social responsibility project of ROMAERO, in which we will pursue to help brilliant children who lack material possibilities, to follow studies at the level of their intellectual potential. 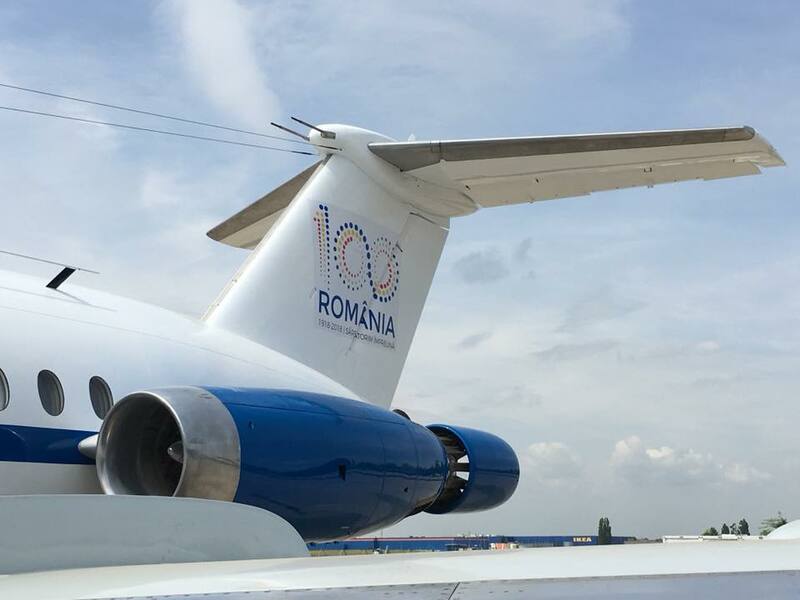 We will seek to collaborate with national television stations with a solid network in the territory, perhaps also with NGOs, and for securing funding we will make proposals to large companies in Romania to become, in an honorary manner, owners of our aircraft for a limited period in which they will be able to use it for their own image, also associating our educational-humanitarian work. We have in Romanian history many examples of prominent personalities that originated from poor families. Until then, because it is still before our mid-centenary, I want to announce, for the first time through Aeronews.ro that we have decided to offer visitors to the BSDA 2018 and BIAS 2018 the possibility to write on the plane's hull as a beautiful thought and a greeting sincere on the occasion of the fulfilment of the 100 years from the Great Union. After each of these events (BSDA and BIAS), the BAC will be the "star" of a special photo session that will capture the result. I made this decision by mutual agreement with my colleagues, seeing the interest that our project enjoys in the ranks of aviation enthusiasts. 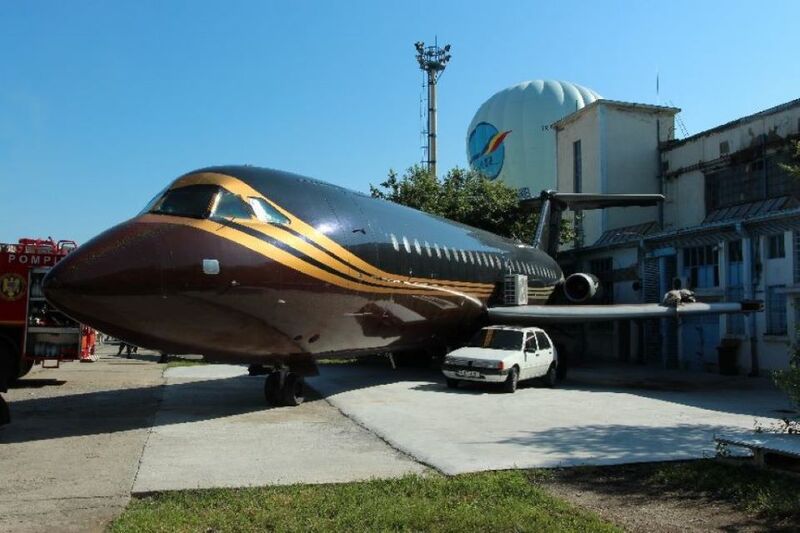 The restoration of BAC 1-11 was done under the direct coordination of Gabi Larisa – Head of Base Maintenance, Andrei Marinas – Head of the Technical Department, Maharani Lupu – Coordinator in the Repair Division (special mention for the structure team) and Bogdan who is an aircraft painting chief. Keep following Aeronews.ro and facebook.com/aeronews.ro. We will return with updates related to this project, but also with other interesting topics from our local aviation!